I was at Bournemouth School from 1980-88. 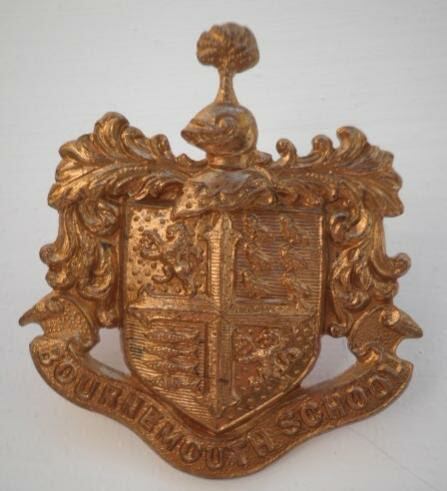 I recently read an article on School Officer Training corps from 1938 which recorded that the school’s OTC wore a gilding metal school coat of arms badge in their caps. When I was in the CCF we wore the Royal Armoured Corps cap badge due to the linkage to Bovington camp. The Signals platoon were given the Signal cap badge in 1984 with a parade at the bottom of the sports field. Anyway I recently found an old OTC badge which I thought you might like to use in your magazine as it might jog a few memories. I have as yet been unable to date when the badge changed to the RAC so if you know I would be grateful for the date.